Now, it is just a beautiful place to visit, hike, and it has a cool name. It also has a beautiful stream running through it with some very picturesque waterfalls. This is why I came here today. This is a very popular spot. With it being a sunny Sunday afternoon, there were many people here. If you prefer less people, I would definitely try to go during the week if you can. As you can see in the sign above, this trail starts about a mile high. The peaks that surround it top the 6000 feet mark. From the north side of the parking lot, the paved trail heads down through the thick rhododendron forest and comes out at the water source for the falls, the Yellowstone Prong. It is a clear beautiful stream with lots of colorful rock in places. Once down the hill, cross the stream and take a right. Just down hill lies the highlight waterfall of the hike, Second Falls, or Lower Falls as some call it. 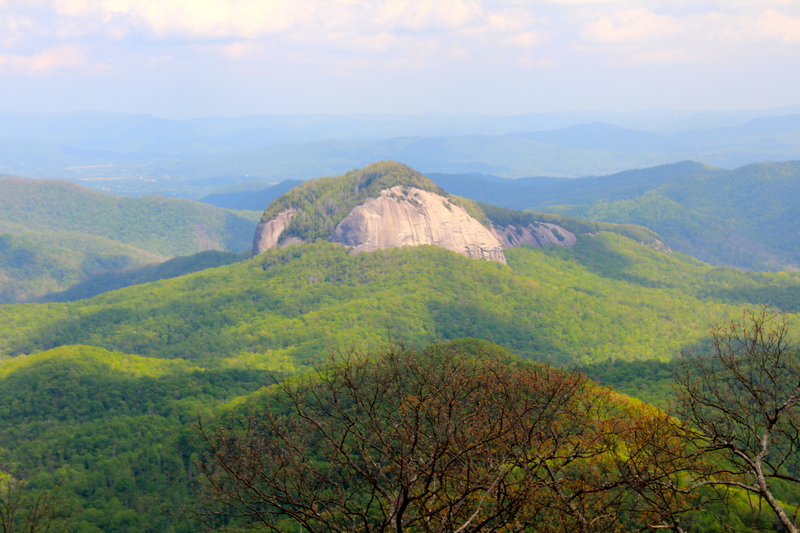 It is roughly 60 feet high, and can be seen from the Blue Ridge Parkway. It is truly a thing of beauty. This stream is a popular swimming and sliding spot in summer. It was a little cool on this day though, about 70 outside with ice cold water. Below this waterfall is another waterfall called Yellowstone Falls. It is not listed on the map at the top of the parking lot. I have not yet seen it, but it is supposed to be bigger than Second Falls. From what I have read, it is a very difficult scramble and not particularly safe to reach it. Maybe someday, the path can be extended and steps built if needed. Please!! We have to see our Falls!! Once back up from Second Falls, the trail continues straight ahead after a spur from the MST. Going straight for the next 1.5 miles will get you to Upper Falls, another 60 footer, with slightly less water, but just as much character. With a blue sky, it makes quite a photo. 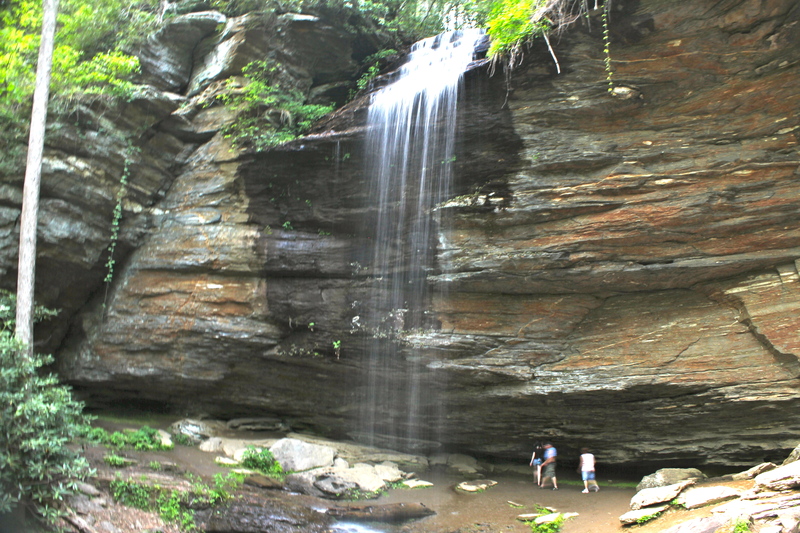 After visiting these two falls, follow the stream back to a junction where a side trail crosses the creek and takes you back to the parking lot to complete the 4 mile loop. Along the way up to the Parkway, I used US 276 from Brevard. 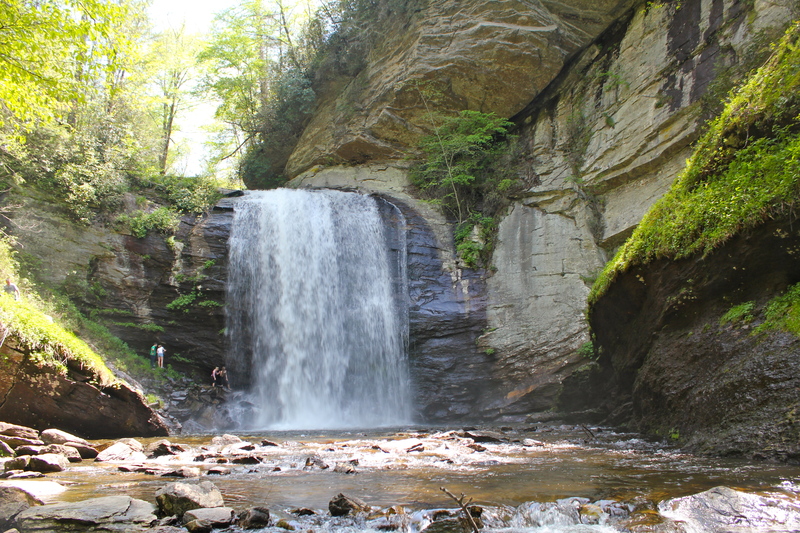 This takes you up into the Pisgah National Forest and by some wonderful places to hike and view waterfalls. The first attraction passed was Looking Glass Falls. 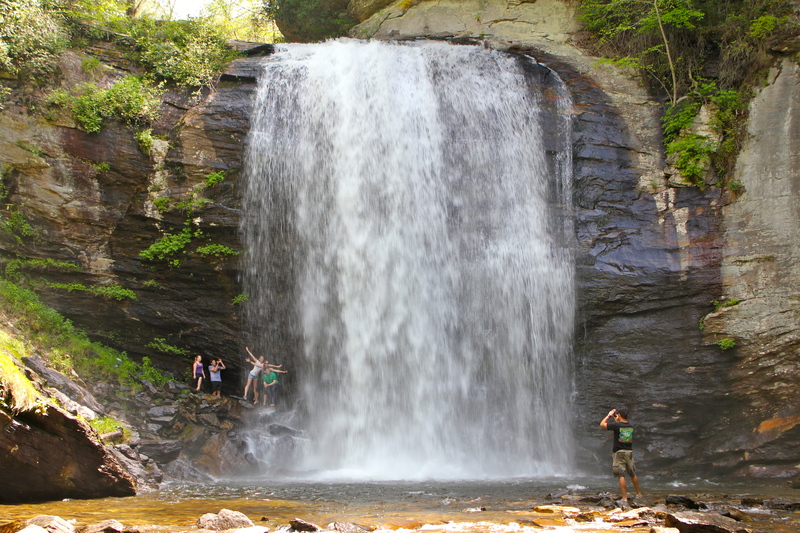 This is not only one of the finest roadside waterfall in NC, it is also one of the finest overall. Yet another 60 footer, on Looking Glass Creek with a larger waterflow, than those in Graveyard Fields. This waterfall is handicap accessible and there only a short walkway with with steps to reach the bottom. This one is particularly pretty in winter when it freezes. Here is a closer up shot. As you can see above, the kids love it. 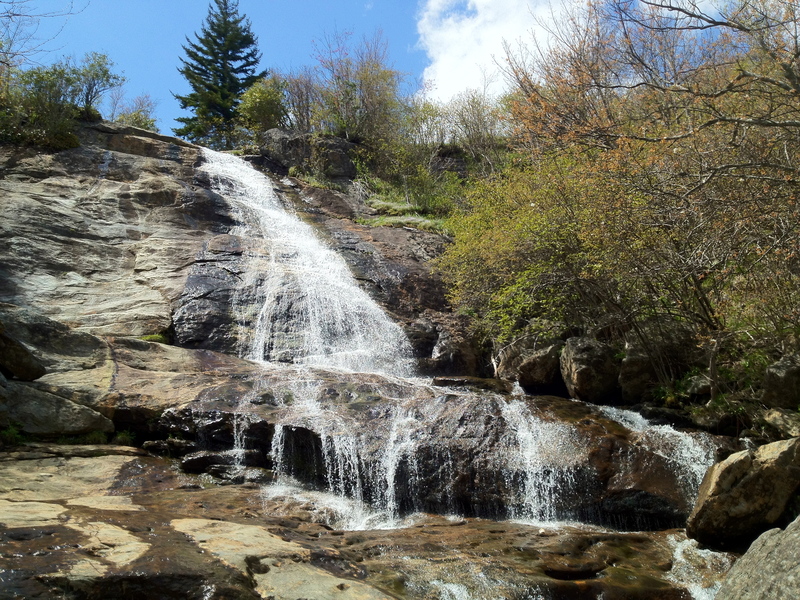 After Looking Glass Falls, comes Moore Cove Falls. This, another 60 footer, comes off of a ledge into a freefall. It can be walked behind easily and remain dry. The hike to here was about 0.7 miles one way from US 276. Lastly on the waterfalls of the day was a favorite with the children, Sliding Rock. 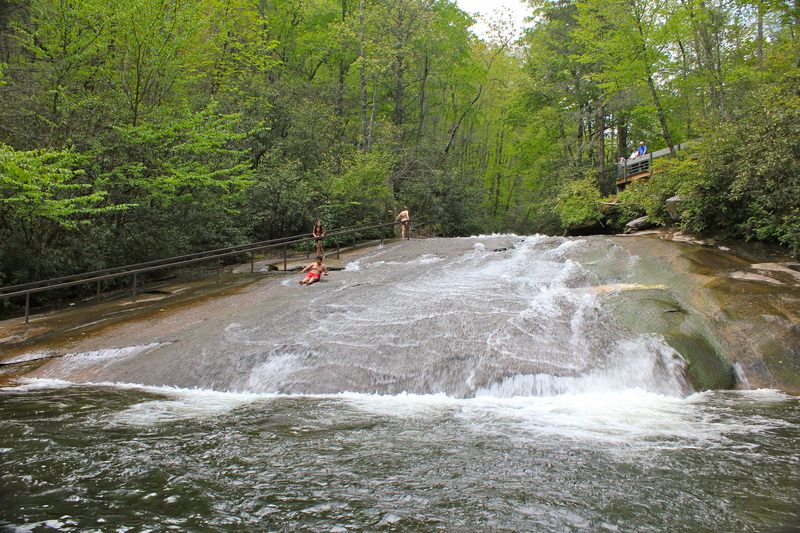 Sliding Rock is a gently sloping waterfall, that is perfect to sit down on and go down. In the summer, the lines are long with paying customers. Today, it was technically closed, but some people were going down it anyway. 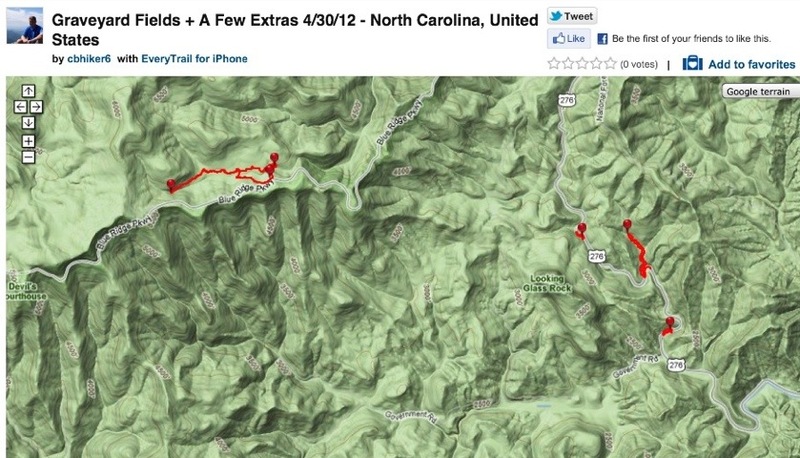 There are also numerous trails and trailheads to access along US 276. 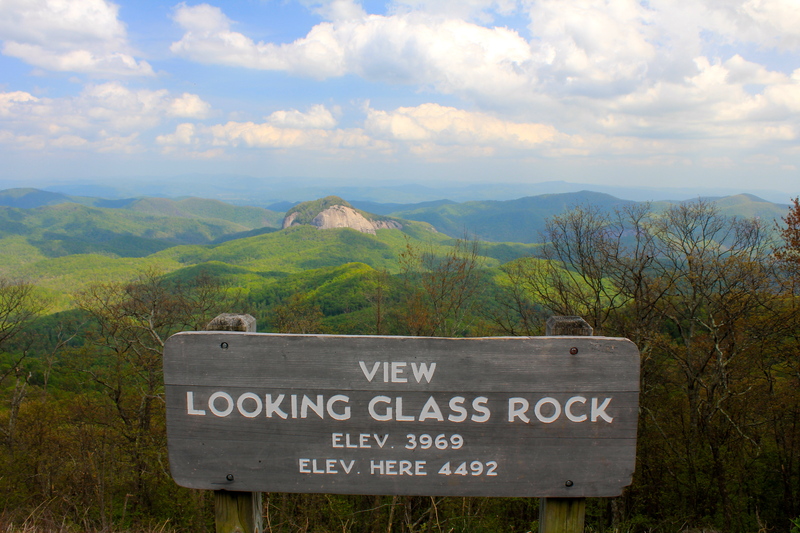 One that caught my eye was the Looking Glass Rock Trail that climbs from the bottom up. This Rock is huge. It reminds me of Stone Mountain, Pilot Mountain, and Table Rock. What I can tell about this section of our mountains is that there is tons of attractions to see here, trails to hike, waterfalls to enjoy, and peaks to climb. 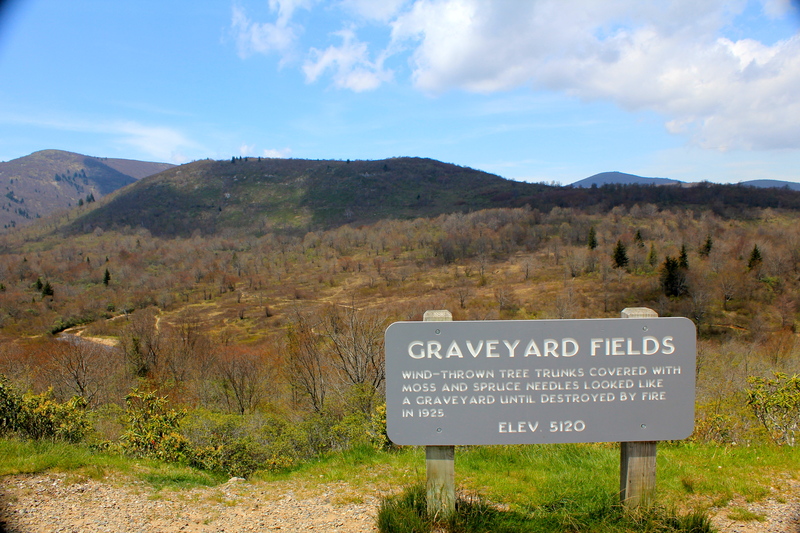 I hiked my destination of Graveyard Fields today and got a good taste of what else is up here. I feel I have only scratched the surface. 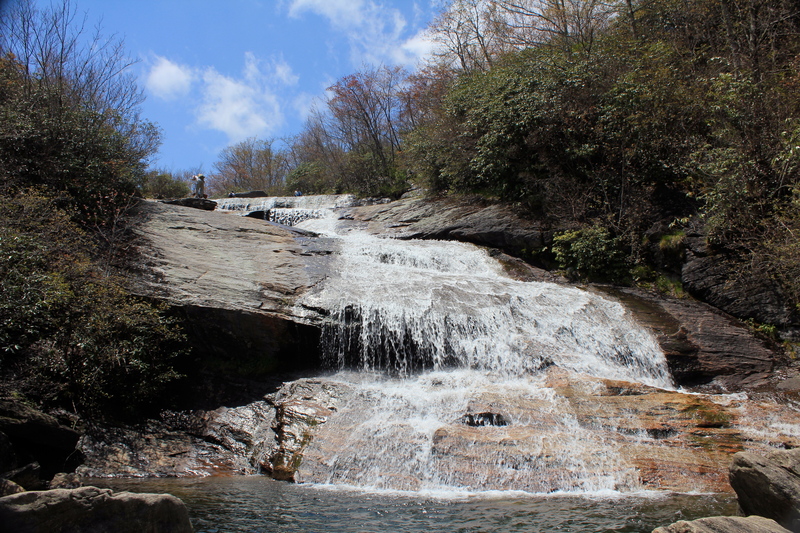 Lake Toxaway just may be the single best starting point for waterfalls that I know of. So many options from there. What all did you see?